It’s Been A Year! 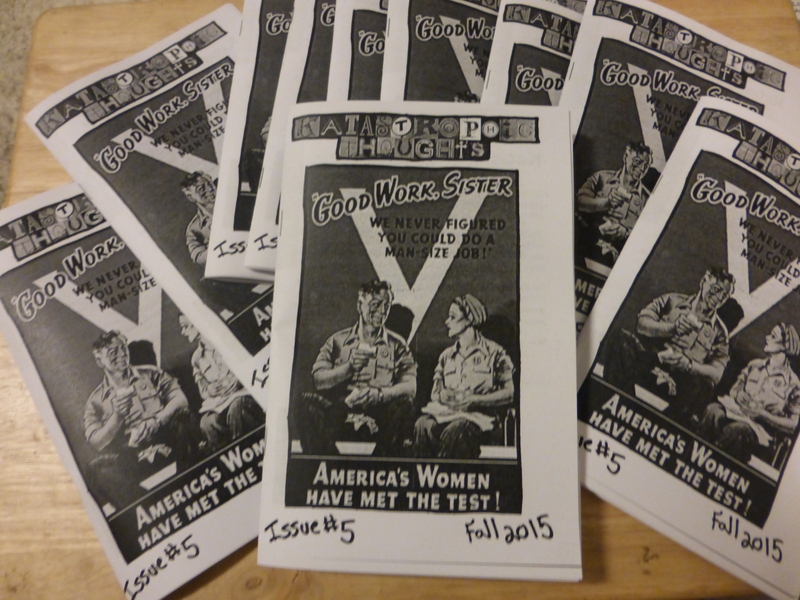 Announcing The Fall 2015 Issue Of Katastrophic Thoughts! With issue #5 of Katastrophic Thoughts I have officially out lasted my high school zine. 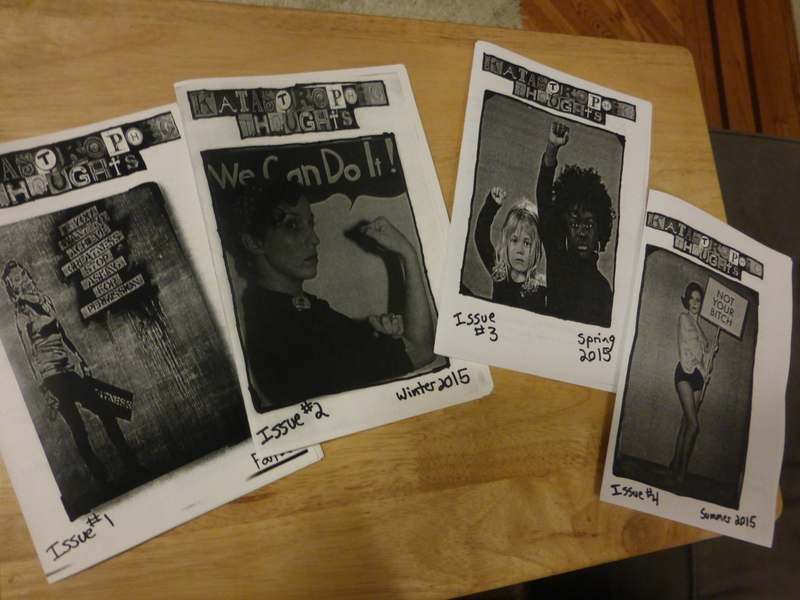 A year ago I announced the first issue of my old-school printed and photocopied feminist zine. And now here I am “dropping” my second Fall edition. Hope you all have enjoy this project as much as I have. The first woman to..run for president, swim across the English Channel, fly around the world, and more. Who narrates the world, creates it. A Native American woman who fought for her people. Single issue: $5. Return subscribers discount annual (four issue) subscription: $20, New subscriptions: $25. Back issues are available for $4 each or $15 of all four back issues. Contact me at kathleenerindavis at gmail dot com for more info.